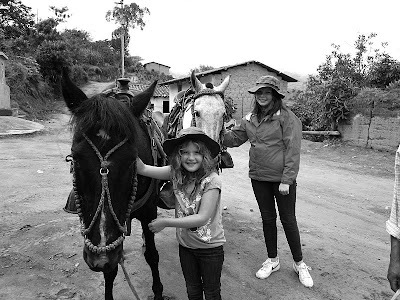 In the horseback riding tour we visit the villages around Pantavi. We take you through ravines, small paths and dirt roads with very little traffic. We can offer you 3 to 5 hours horseback excursions. USD 45 per person including transportation from Hostería Pantavi - Pablo Arenas - Hostería Pantavi, and a local guide throughout the ride. USD 55 por persona including transportation from Hostería Pantavi - Pablo Arenas - Hostería Pantavi, and a local guide throughout the ride. Minimum 2 persons and with a reservation made 2 days before the ride. The horses belong to the local comunity and are not constantly at Pantavi.